ACD is a measure of the average duration of a call. A good indicator is considered to be 3-4 minutes. The measurement is typically based on reporting by telecommunication equipment with a help of call detail records. Samples are collected to determine traffic demand and forecast call volumes, serving also as a tool for infrastructure monitoring of switches and cables. ASR (Answer Seizure ratio) is a ratio of successful calls (successful call is a call with duration, its duration is higher than zero) to the total number of calls. A good indicator is considered to be 30-50%. GSM – (from the name of the group Groupe Spécial Mobile, later renamed the Global System for Mobile Communications) – the global standard for digital mobile communications, with time division multiplexing (TDMA) and frequency (FDMA). Developed by the European Telecommunications Standards Institute (ETSI) in the late 1980s. GSM-termination or Call-termination is beneficial business for converting VoIP (Voice over IP) signal into GSM one by means of VoIP-GSM gateways with simbox and delivering of the call to the final subscriber. IP – (IP, lit.. «Internet Protocol») – routable network layer protocol stack TCP / IP. It became the IP protocol that combined individual computer networks to the global Internet. Protocol is an integral part of addressing the network. IP network segments are united into a single network, ensuring the delivery of data packets between any nodes in the network through an arbitrary number of intermediate nodes (routers). IP addressing entails the assignment of IP addresses and associated parameters to host interfaces. The address space is divided into networks and subnetworks, involving the designation of network or routing prefixes. IP routing is performed by all hosts, but most importantly by routers, which transport packets across network boundaries. Routers communicate with one another via specially designed routing protocols, either interior gateway protocols or exterior gateway protocols, as needed for the location of the network. Mobile (GSM) operator – the company that uses radio frequencies for the provision of telecommunication services. GSM operators can create their own cellular (mobile) network, develop their conditions of service, and collect payments for their services. Routing is the process of selecting best paths in a network along which to send network traffic. Routing is performed for many kinds of networks, including the telephone network, electronic data networks (such as the Internet), and transportation networks. 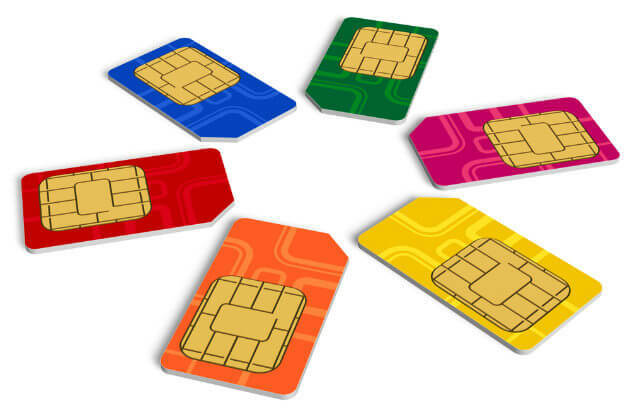 Sim-Migration Process: If you have several GSM-gateways located in different cells, system (Sim Server) will organize SIM card to make calls from every gateway by in turn, creating an illusion of subscriber’s movement, thus helping to protect your cards from sim blocking by the mobile operator. Sim-Rotation is a process: SIM cards within each sim-box can be divided into many groups, each of these groups can be assigned to a separate GSM module of VoIP gateway. Over time, the system is able to make changes within each group, changing sim-card which is responsible for making voice calls from one to another. Simbox equipment for GSM termination. Or it is also called SIM bank or SIM array it is one of the hardware modules of GSM termination equipment. The main function of this element is to store the array of Sim-cards, which take part in call termination process. SIM-board that comprises 20 SIM cards. Each client has opportunity to choose individual structure of SIM Box and use from 300 SIM cards during GSM termination. It is possible to combine GSM and SIM boards in one rack, so it is gsm sim box.